Innovad strives for sustainable quality for the production of safe, healthy and quality feed. Our products help maintaining nutritional quality and prolonging shelf life of the end products. Reaching the highest possible animal health status is a key element for the production of food from animal origin. Clearly the focus has moved from treatment to prevention with an emphasis on optimal digestion and performance in order to maintain profitability. The natural gastric pH-barrier loses effect against pathogenic bacteria such as Salmonella and E. coli. This deficit is related to insufficient gastric acid secretion and feed intake with high buffering capacity. Incomplete protein pre-digestion as a consequence of suboptimal activation of pepsinogen to pepsin. 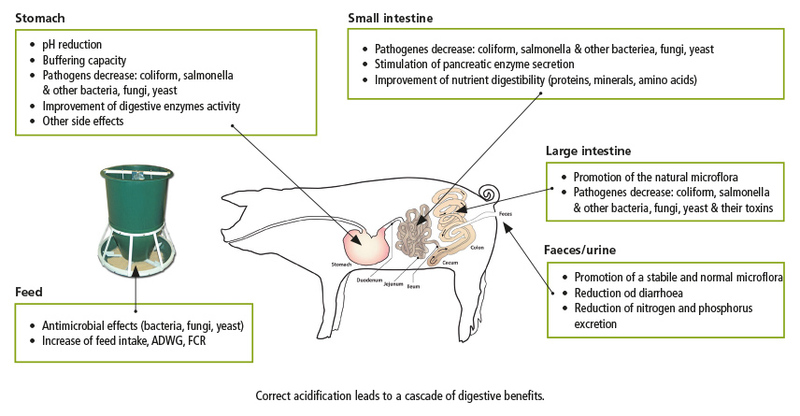 This not only affects FCR but also increases the risk of fermentation disturbance in the hindgut since undigested protein fractions serve as nutrients for typical pathogenic bacteria like clostrida. 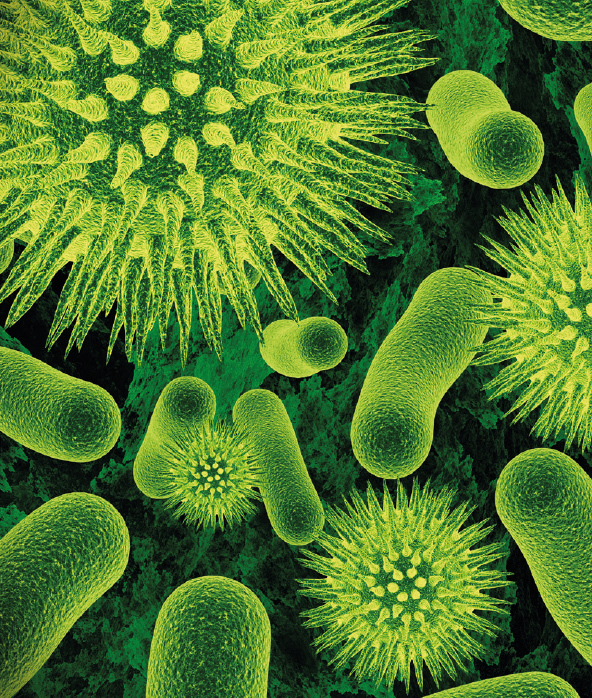 Organic acids clearly have the potential to improve the performance of the animals. Due to their multiple effects at physiological and cellular level, organic acids have a direct and indirect impact on digestive efficiency. Safeguard the microbial quality of the feed. Reduce the buffer capacity of the feed. Activate fully the pepsinogen, leading to improved protein digestion. Reduces nitrogen and phosphorous excretion. Innovad’s expertise can help you choose the right product specific to your application to guarantee maximum activity in the intestinal tract, focusing on in vivo efficiency. Novicid helps the animal with optimal acidification to reach high performance. The Novibac product range offers carefully designed preservative concepts selected based on active components, format (buffered or non-buffered mixes, liquid or dry), application, corrosiveness, etc.